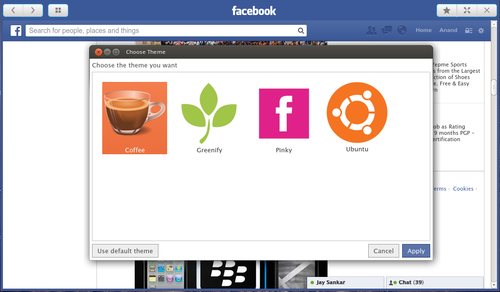 This tutorial is going to show you a simple and stylish Facebook browser for your PC. 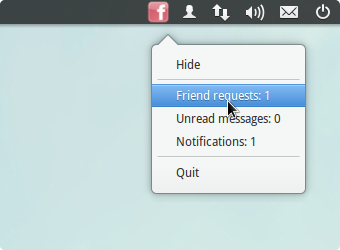 This app provides native Facebook experience in a Facebook styled window plus a system tray icon for providing notifications. This app doesn’t disturbs you by popping out notifications, but it notifies you silently by changing the system tray icon color. This app works on Windows, Mac and Ubuntu (64-bit only). I’ve tested on Ubuntu 13.04 Raring, unfortunately the indicator applet didn’t work for Unity Desktop. It’s just another worthless frame with the facebook website inside.